My colleague, David Campbell, will be the feature speaker at the next Vancouver Data Science Meetup on Thursday, June 25. (This is a jointly organized event with the Vancouver Machine Learning Meetup and the Vancouver R Users Meetup.) He will present his research on approximate Bayesian computation and Markov Chain Monte Carlo, and he will highlight how he has used these tools to study the invasion of European earthworms in Canada, especially their drastic effects on the boreal forests in Alberta. Dave is a statistics professor at Simon Fraser University, and I have found him to be very smart and articulate in my communication with him. This seminar promises to be both entertaining and educational. If you will attend it, then I look forward to seeing you there! Check out Dave on Twitter and LInkedIn. • 6:00 pm: Doors are open – feel free to mingle! • 6:30 pm: Presentation begins. • ~7:45 Off to a nearby restaurant for food, drinks, and breakout discussions. After being brought in by pioneers for agricultural reasons, European earthworms have been taking North America by storm and are starting to change the Alberta Boreal forests. This talk uses an invasive species model to introduce the basic ideas behind estimating the rate of new worm introductions and how quickly they spread with the goal of predicting the future extent of the great Canadian worm invasion. To take on the earthworm invaders, we turn to Approximate Bayesian Computation methods. Bayesian statistics are used to gather and update knowledge as new information becomes available owing to their success in prediction and estimating ongoing and evolving processes. Approximate Bayesian Computation is a step in the right direction when it’s just not possible to actually do the right thing- in this case using the exact invasive species model is infeasible. These tools will be used within a Markov Chain Monte Carlo framework. Dave Campbell is an Associate Professor in the Department of Statistics and Actuarial Science at Simon Fraser University and Director of the Management and Systems Science Program. Dave’s main research area is at the intersections of statistics with computer science, applied math, and numerical analysis. Dave has published papers on Bayesian algorithms, adaptive time-frequency estimation, and dealing with lack of identifiability. His students have gone on to faculty positions and worked in industry at video game companies and predicting behaviour in malls, chat rooms, and online sales. There is a reason for why I chose to use as the symbol for the variables in the above notation – in statistics, contrasts provide a very useful framework for comparing multiple population means in hypothesis testing. In a later Statistics Lesson of the Day, I will illustrate some examples of contrasts, especially in the context of experimental design. I just couldn’t pretend any longer. It was near the end of my second year at Simon Fraser University. My GPA was pretty high, and I had just won a competitive NSERC Undergraduate Student Research Award to work with an accomplished cardiac physiologist. I attended all of the relevant seminars to get the “inside scoop” on how to successfully apply to medical school, and I volunteered in numerous organizations to demonstrate my non-academic credentials. I had already developed good relationships with several professors who would have gladly written strong recommendations for my application. All of the stars were aligning for my path to medical school. I was also miserable, angry and devoid of any further motivation to stay on that path. Image courtesy of Carsten Tolkmit from Flickr. Obtained via the Creative Commons License. there is no function in either language that is suited exactly for this purpose. In this tutorial, I will show you how to do this in both R and SAS. I will write a function in R and a macro program in SAS to do so, and you can use the function and the macro program as you please! John Sall demonstrates how to perform discriminant analysis in JMP, especially for data sets with many variables. Two views on how to reform FIFA by Nate Silver and Branko Milanovic – this is an interesting opportunity to apply good principles of institutional design and political economy. How blind people navigate the Internet. The Replication Network – a web site devoted to the study of replications in economics. Cryptochromes and particularly the molecule flavin adenine dinucleotide (FAD) that forms part of the cryptochrome, are thought to be responsible for magnetoreception, the ability of some animals to navigate in Earth’s magnetic field. Joshua Beardmore et al. 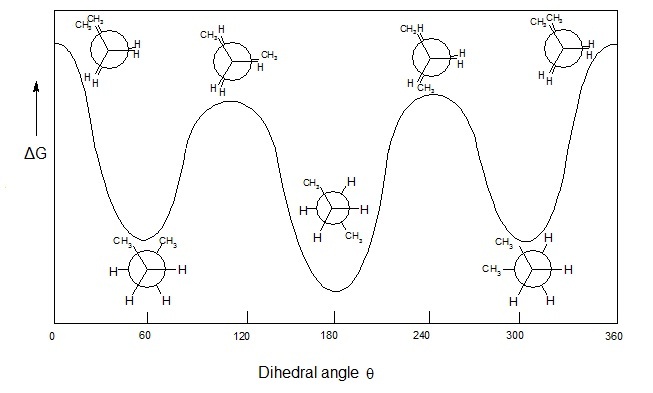 have developed a microscope that can detect the magnetic properties of FAD – some very cool work on radical pair chemistry! Jodi Beggs uses the Rule of 70 to explain why small differences in GDP growth rates have large ramifications. Rick Wicklin illustrates the importance of choosing bin widths carefully when plotting histograms. Rhett Allain provides a very detailed and analytical critique of Mjölnir (Thor’s hammer) – specifically, its unrealistic centre of mass. This is an impressive exercise in physics! Congratulations to the Career Services Centre at Simon Fraser University for winning TalentEgg’s Special Award for Innovation by a Career Centre! I was fortunate to volunteer there as a career advisor for 5 years, and it was a wonderful place to learn, grow and give back to the community. My career has benefited greatly from that experience, and it is a pleasure to continue my involvement as a guest blogger for its official blog, The Career Services Informer. Way to go, everyone! How Lucas Duplan raised $30 million for his start-up, Clinkle, and lost almost its entire executive team (including Chi-Chao Chang) and most of its staff – a very detailed account. Peter Brown writes a nice chronicle of Fermat’s Last Theorem and how Andrew Wiles’ proof for it almost collapsed (but ultimately prevailed). Following her recent blog post on the changing dynamics between economists and the media in Canada, Frances Woolley provides 4 suggestions for journalists to improve their coverage of economics in the media. As always when you read Worthwhile Canadian Initiative, read the comments – this is the most respectful and productive comments community in the econoblogosphere that I have encountered. Some very important and practical applications of hydrogels: contact lenses, insulin delivery for diabetics, and reconstructive tissue. The Big Bang Theory (the TV show) has started a scholarship endowment fund for STEM students at UCLA! Qing Ke et al. compiled a list of “sleeping beauties” in science – articles that were not appreciated at the time of publication and required much passage in time before becoming popular in the scientific community. (Unfortunately, that original article is gated by subscription.) As reported in Nature.com, “the longest sleeper in the top 15 is a statistics paper from Karl Pearson, entitled, ‘On lines and planes of closest fit to systems of points in space‘. Published in Philosophical Magazine in 1901, this paper awoke only in 2002.” Out of those top 15 sleeping beauties, 7 were in chemistry. A full pre-published version of Ke et al.’s paper can be found on arXiv. How long-distance romantic relationships differ from proximate romantic relationships – Mona Chalabi answers a reader’s question. Be sure to read toward the end about what happens to long-distance romantic relationships after geographical unification. Joel Shurkin reports on new research that elucidated the traffic engineering ingenuity of ants. In particular, speed increases with more ants travelling on the same path. Here is the original paper by Hönicke et al. It turns out that John Nash had a mostly unknown intellectual breakthrough that has only become public since 2012. He “proposed a form of possible encryption used decades later by the NSA based on computational complexity theory”. John Bohannon published a flawed (but real) study in a fake journal to claim that eating chocolate can help you to lose weight. With some help in spreading the word about this study, many journalists were fooled into running brash headlines about this exciting but badly obtained finding. Soon we were in the Daily Star, the Irish Examiner, Cosmopolitan’s German website, the Times of India, both the German and Indian site of the Huffington Post, and even television news in Texas and an Australian morning talk show. Why do humans get schizophrenia, but other animals don’t? At Marginal Revolution, Ramez Naam recently argued that CRISPR (with all of the limitations in some recent research) should not be feared in two blog posts – Part 1 and Part 2. Ecological fallacies and exception fallacies – two common mistakes in reasoning, statistics and scientific research. Intrauterine devices (IUDs) are the most effective contraceptives, so why is their usage so low? Shefali Luthra reports that – at least for teenage girls – pediatricians were not trained to insert them in their education. Maddie Oatman finds more complicated reasons for women in general. Frances Woolley on the changing dynamics in the relationship between economists and the media in Canada over the past 8 years. The unintended consequences of labour policies that are meant to be friendly for parents and families – a nice account of many examples by Claire Cain Miller. FanGraphs explains batting average on balls in play (BABIP) in great detail. How Neil Bartlett discovered compounds that contain noble gases. (Yes – they can react!) He began his research at the University of British Columbia in Vancouver (my hometown). He also discovered a compound in which oxygen is a positively charged ion. Very cool stuff!